If you are a hipster that likes camping, then what the heck are you doing on the internet. 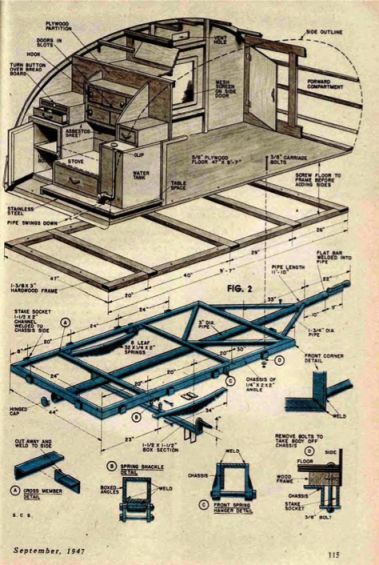 There was no internet in the 1940s; ARPANET was not even thought of as a possibility until 1963, let alone the world wide web (that’s www for the newbies)! 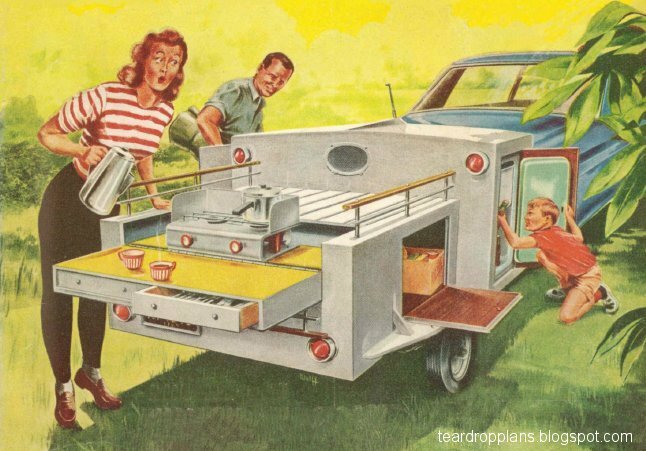 What they did have in the 1940s was a bunch of returning GIs moving to the suburbs, having babies, and looking for a more comfortable experience of camping. 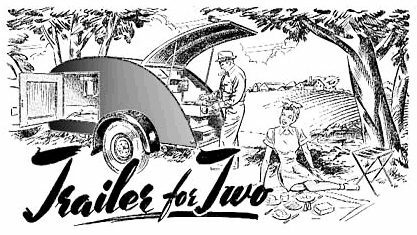 As with all good things from that era, the do-it-yourself variety was sent out to the suburban garages through magazines like Mechanics and Handicrafts (Dec. 1936) and Popular Mechanics (April 1953). Alas I was not around then, but that is probably good because I don’t think I could have handled living through the disco era later. Growing up in the 1980s and 90s (let’s make it clear, I’m a Gen Xer not a Millennial) my father, brothers, and I did our fair share of camping. At some point along the way we picked up a travel trailer. I think it appeared sometime around when Mom decided to join us, and she insisted on having a shower. Anyway I digress … or did I? I think though that the camper is what got me soft on camping; sleeping on the hard ground, lack of access to a toilet, no air conditioning, and no screens (window not video) became less appealing. I was no longer a “nature guy.” Fast forward twenty years, and as the big 4-0 is starting to loom across the horizon I started thinking about recapturing some of my old youth. (I’m calling it nostalgia not a mid-life crisis!) We don’t need to get into all the details, but it includes the outdoors. I’m looking to do some traveling, roughin’ it (just a little, you don’t want to go overboard on these things), and have it all be inexpensive. Being a bit of a handy person I settled on building my own teardrop trailer. This page then is meant to chronicle that journey. I did a lot of research, a little bit of planning, found a 4×8 utility trailer that was built the same year I entered the monastery (that’s 1998 for the trivia buffs out there), and now have started to build. Part ? – How Long Will It Last?! ?